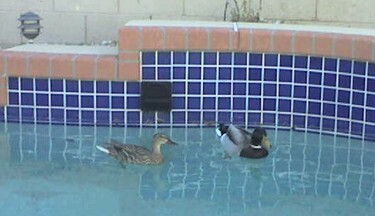 BlogArizona.com - An Arizona Real Estate Blog: Arizona Snowbirds in my Swimming Pool? Well, at least they picked a nice place to stop! Been to Arizona a few times and I love it!